Bonnet House Museum & Gardens is a beautiful Fort Lauderdale, Florida wedding, ceremony, reception and rehearsal dinner venue located in a natural barrier island habitat with the Atlantic Ocean to the east and the Intracoastal Waterway to the west. Spanning 35 acres, Bonnet House offers a variety of exquisite settings for weddings, ceremonies, receptions and rehearsal dinners of any size, each uniquely beautiful in its own way. Whether you are planning a close and intimate gathering or a grand and lavish affair, Bonnet House sets the scene for romance and timeless memories. If you are looking for a location for your destination wedding that is truly out of the ordinary, you have found the perfect venue in South Florida. Bonnet House embodies old-world charm and understated elegance. With its beautiful tropical and subtropical plants and its proximity to downtown Fort Lauderdale, Bonnet House has become a favorite destination. Bonnet House is an outdoor, garden setting available for rentals. 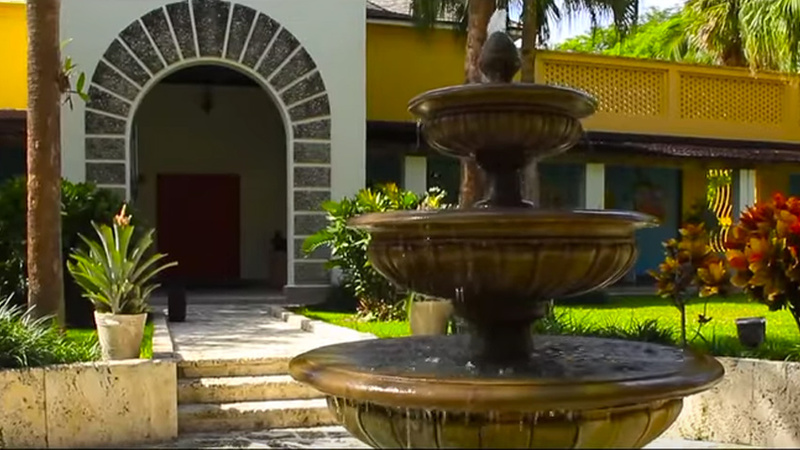 Guests have the exclusive use of the tree lined alee/dry fountain, veranda lawn, hibiscus garden and inner courtyard as well as the Bonnet House Beach for ceremonies. Bonnet House’s rental fee is for the venue only, although the estate works with many pre-approved caterers and vendors to suit every budget and design goal. A list of preferred vendors that have extensive experience on the property is available. Bonnet House is offering a 20% discount on available event dates from March-June 2019. Please click here to view available dates. Discounted rates apply to new bookings only. Discounts are on the Bonnet House rental fee only. Tenting, security fees, dumpster fees, etc. do not qualify for discounts. For more information or to set up an appointment please complete the form below or call (954) 703-2608 or email [email protected].